PandaSuperstore.com - Elephant Wet Bags Waterproof Diaper Bag Multi-function Nappy Bag -14"*11"
Elephant Wet Bags Waterproof Diaper Bag Multi-function Nappy Bag -14"*11"
Extra Large waterproof wet bag. Size: 14 x 11 inches. Made with high quality designer fabrics with coordinating waterproof inner material. 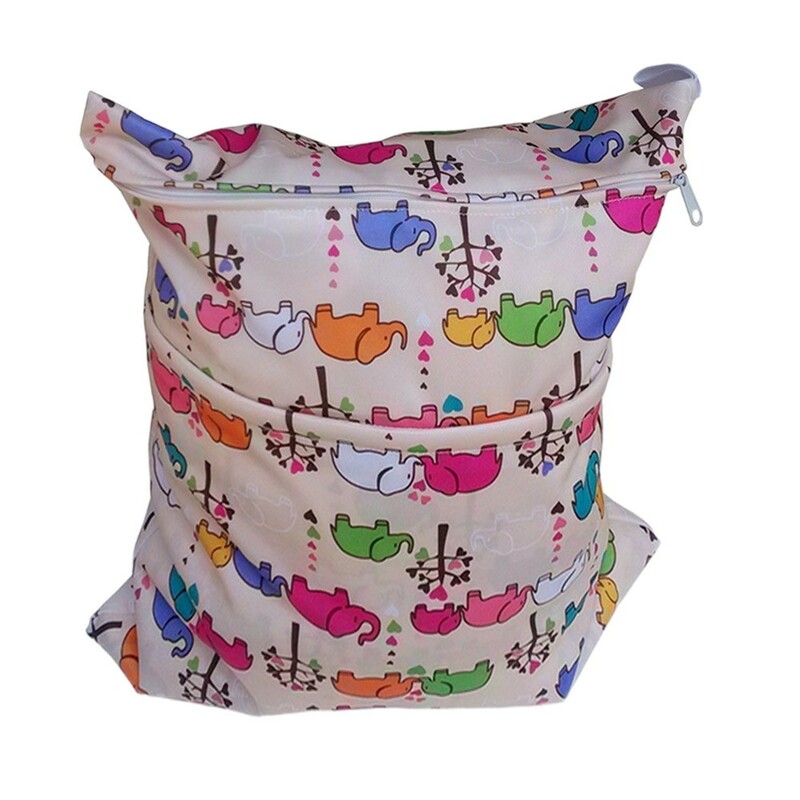 Ideal for cloth diapering parents but also the perfect bag for carrying dirty clothes, shoes, swimwear and much more. Features two waterproof compartments for separating your wet and dry items.